FMD Chat gratefully recognizes the individuals who have demonstrated loyal support and whose continuing generosity has provided patients and caregivers with sense of community through their financial contributions and commitments. By becoming a FMD Chat donor, these individuals have established themselves as compassionate leaders with a focus on improving the lives of those affected by fibromuscular dysplasia. You too can make a difference! Your donations make it possible for FMD Chat to continue to advocate, educate and support. There are many ways to support FMD Chat. Whether you wish to make a one time contribution or set up a recurring donation, it's easy to give through PayPal. 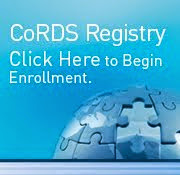 Connect with FMD Chat and other nonprofit organizations through GuideStar, an organization that collects and disseminates information about every nonprofit organization registered with the IRS. Every time you shop at any of the 1,000+ online stores in the iGive network, a portion of the money you spend benefits FMD Chat. You'll never pay more when you reach a store through iGive. In fact, smart shoppers will enjoy iGive's repository of coupons, free shipping deals and sales. When you shop at smile.amazon.com, you’ll find the exact same low prices, vast selection and convenient shopping experience as Amazon.com, with the added bonus that Amazon will donate a portion of the purchase price to FMD Chat. Show that you're a survivor with Bravelet's unique accessories for women and men. From each purchase made through FMD Chat's page featuring specially chosen colors, $10 is donated to FMD Chat. 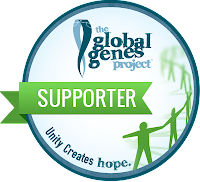 Help FMD Chat raise awareness of fibromuscular dysplasia and keep a piece of the organization close to you with logo wear and other useful items available through CafePress. "I just wanted to say thank you all for your support. Reading these posts when I was first diagnosed, I understood the importance of getting a good blood pressure cuff. Because I had a good blood pressure cuff, I got to the hospital and got meds before a major issue occurred. Two days in the hospital and two BP meds later, I'm home with my family. I now have a surgical consult with my vascular surgeon. So this group literally saved my life. Thank you!" — Stephanie M.
"In 1994 I was diagnosed with FMD. I spent 20 years alone without a support community. FMD Chat gave me a safe harbour to share my disease with people who understand. Chat gives so much for so many and asks nothing. I am forever grateful for the advice, support and compassion I have received." — Elizabeth G.
"FMD Chat is the sanity safety net that catches me each time I think I'm about to emotionally free fall due to the stresses of this disease. I am so thankful for the opportunity to have both lighthearted conversations as well as serious symptom discussions there." — Rebecca J. "FMD is still being defined and little is understood within the medical field. Most physicians will acknowledge FMD exists, but few are able to diagnose it and even fewer have an interest in learning more about it. Patients and their caregivers experience frustration, confusion and uncertainty. There comes a need for balance and support, which I've found in the FMD Chat Caregivers Only Group. Talking to one another helps caregivers be the pillars, stabilizers, and balancing factors in the life of the FMD patient." — Doug K.
In June 2012, FMD Chat became the first patient-driven project on MedStartr, the world's first crowdfunding platform dedicated solely to medical projects. FMD Chat wasn't like other MedStartr projects. FMD Chat didn't promise a return on investment. FMD Chat didn't offer some new gadget that would change medicine forever. 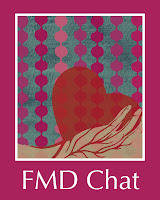 FMD Chat sought funding to connect patients, family members, friends, healthcare providers—all those affected by fibromuscular dysplasia—in a global, peer-to-peer support network based on social media. Using social media, FMD Chat closes the physical and cultural differences among patients across continents. Patients from the United States, Australia, Brazil, Canada, Germany, Norway, South Africa, Sweden and other countries have come together to support one another, discuss symptoms and side effects, help prepare for surgery, develop questions to ask their doctors and more. The global connection the FMD Chat facilitates helps ensure patients share and learn from a variety experiences. FMD Chat also reaches out to the general public and medical community by sharing stories form diagnosed patients who best explain what it means to live with FMD. FMD Chat provides medical readings and international resources to help raise awareness and understanding of the disease, which all to often takes years to diagnose, is misdiagnosed, or never diagnosed at all. We are ready; we are willing, and we are thanking the following for sharing, so that others may benefit.